This fantastic online casino slot game comes from Playtech, which is dignified company and one of the best when it comes to slots machine, with its headquarters in Isle Of Man. Hot Gems is not a new game but rather a bit older 25-payline video slot game that has experienced an enormous popularity in the past two years due to its quality that offers to players. Let’s say explain some basic things about this cool slot game that is a combination of the classic arcade game and modern slot machine! And reveal what bonus features are hidden in the corners of the mine of course! The game is set in deep underground, inside a gem mining facility where you, as the bearded guy, try to collect the gems. The very first thing that was cool and funny was the opening intro. The intro shows the guy who is trying to break a stone and at one moment he breaks it, which leads to a massive eruption of gems that start wilding, carrying our hero through the tunnels of the mine. The user interface is uncomplicated and user-friendly so you will have no problem with understanding the buttons. 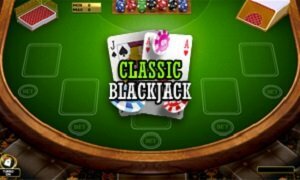 The relaxing, yet funny and genuine, graphic adorns this beautiful game that all slot online casino players should not skip. At least because of the original and funny graphics that depict silly miner that collects gems. You will fall in love with this slot game after you play it for a while since it can never become boring. The gemslook very shiny and cartoonish, with a blurry effect that connotes their rarity and mysterious value. The animation is the great-the effect of spinning looks precisely if you were digging inside the mine and suddenly you bump into a rock that splits after a hit and starts flooding with the gems. We have to praise especially the dance moves of your hero during the idle time – if you don’t play for a while, the hero comes out and starts dancing to remind you to spin the wheel and collect gems. You can avoid being idle by using auto mode so your spins will be performed automatically. The game has not classic card symbols but rather pictures of gems that have different colors: red, green, purple, yellow, blue and orange. Besides the gems, you can collect a mine cart, miner, lamp and pickaxe. You bump into a Wild symbol, Hot Gems scatter symbol and Free Games symbols on the reels one to three. The scatter symbols cannot initiate a bonus game, but if you manage to catch at least two of them, you will multiply your bet and get a cash prize. Another great feature that is not seen in many online slot machine games is collapsing reel. Every time you win money with a combination, all the symbols that are involved in the win will explode and will be replaced by the new symbols that fall from the above of the screen randomly. This feature creates space for striking combos that player can achieve and add more money to his pocket. The free game symbols are the best chance to get some serious money. These symbols must land anywhere at the reels one, two and three. It automatically gives you fifteen free spins, while the reels will start to collapse and multiply your bet. As soon as you terminate the execution of combos, the multiplier resets. Why Not Strike Hot Gems Jackpot? The Jackpot in this game is achievable and we can confirm that! We have played for several hours and have spent some money though, but we eventually manage to hit it! The five miners hit the reels and we received 5000 coins as the top prize in this game. Note that we have played on 0.50 bet per stake, which cost 25 to hit one spin.